This post is dedicated to a dear friend of mine, Adrian. I am very proud of the fact that you are getting your life back on track in terms of your health and fitness. I believe that those of you that frequents the gym, after a full work out, you get soreness in your muscles within a few hours or the following day which we address it as delayed-onset muscle soreness (DOMS). 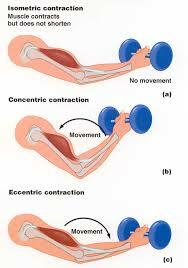 DOMS is caused by eccentric (lengthening) exercises which causes microtears to the muscle fibers. After eccentric exercises, the muscles adapts rapidly to prevent more muscle damage and hence muscle soreness if the exercise is repeated. How does DOMS feel like? Dull, aching pain with tenderness and stiffness. This happens only when the muscle is contracted, stretched or put under pressure but not when it is at rest. Weight lifting where the muscles stretch under resistance. How do we prevent DOMS? 1. Gradually increasing the intensity of a new exercise program. 2. Proper nutrition. The day before training. consume 40% protein, 40% carbs and 20% fat. On the day of training, consume a diet of high in protein, complex carbs and good healthy fats. After training no more than 2 hours after, consume carbohydrate to protein ratio of 2:1. 3. Shake of tension between work periods. Shaking your arms and legs out would help reduce muscle tension. 4. Hot/cold shower after. Alternating between hot and cold showers would help increase blood flow to supply the muscles with lots of nutrients. The intervals between showers are 20-30 seconds. 5. Icing. Ice on the muscles would help pain and inflammation. 6. Get a massage or see your chiropractor for healthy joints and muscles. 7. Soak in a bath of Epsom salt. This would help relieve stress, decrease muscle inflammation, flush toxins in the muscles, and improve nerve function. 8. Avoid aggravating activities. If DOMS is present, it is advised to not exercise vigorously until fully recovered. This may last up to 72 hours. p.s: Did you know that grapefruits boost liver function? To those of you that is going to indulge in a pool of alcohol this long weekend, please consider looking after your liver. ← Weekly stretches for low back pain.